Read and click the sections below to learn everything you need to know about the best free diet and exercise journals. What is a Diet Journal? However, they are only effective if you fully integrate them into your day. You must log every single thing you eat and drink. The power and convenience of smartphones make them the best platform for diet journaling, but lower-tech options are also available. In a Kaiser Permanente study of over 1,700 participants, individuals who kept a weight loss journal lost twice the amount of weight as non-journal participants (1). It is undeniable that weight loss journals play a crucial role in weight loss, and anyone pursuing weight loss should use one. Food journals are about more than just tracking calories. They also promote lifestyle change. Some food journal options double as an exercise journal. If you’re disciplined enough to track both your food and exercise habits, you will work toward forming new, long term habits that will substantially improve your health. 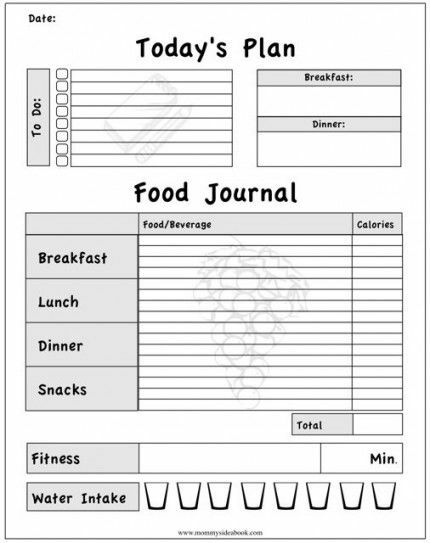 Lifestyle changes prompted by use of a food journal include making conscious, informed food selections. 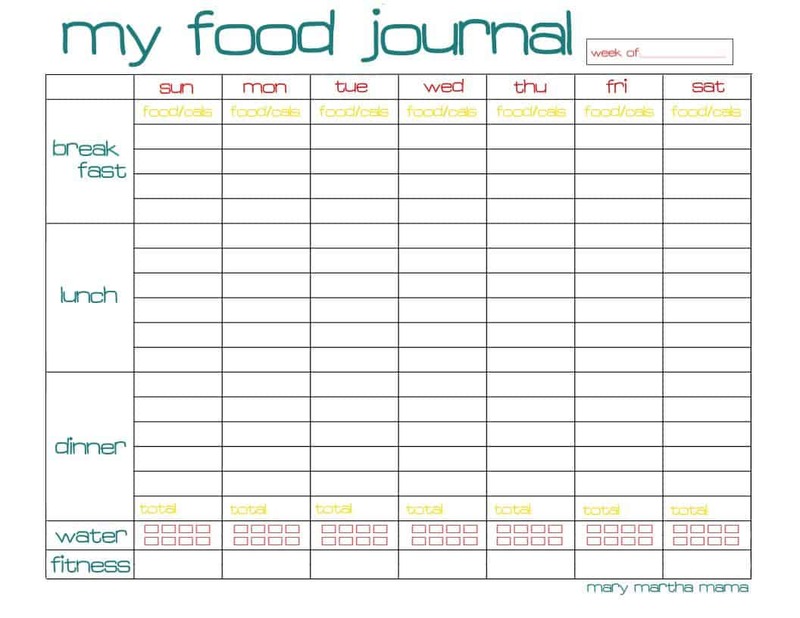 People commonly eat more food than they realize, but a food journal can help you track your true calorie intake. Being honest and tracking how much you really eat leaves less room for excuses and helps build new habits that will lead to a healthier you. In a meta-study from 2014, up to 17% of polled participants reported a food allergy (2). Food intolerance, a lesser form of an allergy, may be even more common. Food allergies/intolerance can have mild to moderate side effects that go unnoticed for extended periods of time. Food journals can help you discover any food intolerances or food allergies. When you closely monitor your food, mood, and how your body feels after eating, you’ll sometimes identify foods your body shouldn’t consume. Food intolerance symptoms can include fatigue and irritability. Other classic symptoms include diarrhea, gas, nausea, and sometimes hospitalization for the more serious allergies. Addressing food allergies/intolerances can lead to improved sleep, mood, reduced inflammation and a healthier digestive system. Many of today’s popular apps pull users in various directions due to advertisements and a feeling of “information overload.” Chronometer does the opposite, instead focusing solely on tracking food and exercise habits. Cronometer allows you to add recipes, customize macronutrient goals, and track alcohol/caffeine intake. One great feature is the app’s ability to track your daily nutrients. For instance, if you log a banana into your food diary, you will have all the nutrients from a banana logged into a chart that compares your intake against daily recommended values. Cronometer allows users to keep things simple and still get the benefits of food and exercise tracking. While it doesn’t have some of the features that other popular apps have, it gets the job done without hassle or clutter. MyNetDiary has a variety of great features organized into one easy to use page. In addition to food, the app will track your exercise, vitamins, water, and caffeine intake. The app is linked to social media and has an interactive community. Considering the amount of features available on this app, it may be the best organized. It’s very easy to use and the homepage is customizable, allowing you to remove any undesirable trackers. MyNetDiary is low on ads, easy to use, and offers charts to track your progress. This app is highly recommended. Lose It has an attractive user interface that carries great features, including an active community forum where you can meet other people with similar goals. You can also create an interactive group with friends or family to stay connected during your weight loss journeys. Additional features include meal ideas, customizing workouts, and a personalized notes section. The food tracking system on Lose It is one of the best. Manually updating foods and recipes is a piece of cake. An excellent feature is the ability to scan the barcode on the foods you purchase to automatically populate nutritional information. A downside to Lose It is the “busy” feeling that accompanies the app. Various sections feel overwhelming and scattered with excessive amounts of information. There are also various ads and external links, making the app feel less personal. Lose It is a savvy app that carries with it some cool features. For users interested in a comprehensive app with a few more whistles and bells than Cronometer, this is an attractive option. My Diet Coach feels easy going and has cartoon characters that model your before and after appearance. Stocked with a daily motivational quote and friendly vibe, it’s a fun app to track what you’re eating. The app is easy to use and doesn’t have a ton of features. User’s input what they eat and at the bottom of the screen and it tells you how many remaining calories you can eat that day. Users can also update daily exercise. My Diet Coach sets itself apart from the rest by mixing fun with practical ideas for weight loss – all while tracking your food intake. More than just a diet tracker, Yazio is a tool to manage your overall health. It encourages tracking size measurements on your body (e.g., biceps, thighs) and documenting vitals signs like blood pressure, pulse, and blood sugar level. Yazio has the barcode feature, allowing you to document foods by scanning a barcode and automatically populating the nutritional information. Your food intake history is easy to view and works off an interactive calendar. Yazio doesn’t overwhelm its users with links or advertisements. The app is easy to navigate and doesn’t pull you in multiple directions. Unfortunately, the Analysis section of Yazio is for paying customers only. This section provides a graph of your dietary habits in weekly or monthly increments. Non-paying customers only have access to the daily statistics. Kudolife has four primary features: logging weight, meal planning, tracking meals, and checking blood sugar level. The app is great for individuals managing diabetes because it puts a focus on blood sugar management. The app has minimal advertisements and doesn’t overwhelm its users. There aren’t many downsides to food journaling with this app, but unfortunately it doesn’t track exercise. The app will track activity through motion detection, but it is not a sufficient tracker if you’re looking to log your exercise. Kudolife has a built in meal planning feature that will suggest certain foods depending on your health goals. The app caters its meal plans to individuals with specific dietary needs such as gluten free, ketogenic, and Kosher. For individuals with food allergies, restrictive diets, or diabetes, Kudolife is a good option. Brought to you by LiveStrong, MyPlate Calorie Tracker is a well rounded diet and fitness journal. Equipped with a variety of features and less ads than other apps like My Fitness Pal, MyPlate’s main sections allow you to input foods, water intake, and exercise. The app has a calendar with charts showing your diet and workout history. The desktop version is more comprehensive and provides workouts and recipes. Complaints include reports that the community section can be unfriendly. Consumers have also complained about the app having issues with bugs and technical errors. Finally, the app and desktop version have internal advertisements frequently encouraging you to upgrade. My Fitness Pal is a popular diet and fitness journal developed by Under Armour. The app is designed well and easy to use. It will track your exercise, food intake, and water consumption. Notable features on the app include step tracking, access to special dietary/fitness challenges, reminders, a notes section, and an interactive community of others using the app. This is widely considered one of the best health apps available, with more in-app features than the competition and an attractive interface. Downsides include the volume of advertisements and links within the app. The advertisements can be distracting and take up as much as half the screen on your phone. There are also multiple prompts to upgrade to the “premium” services. If you still have questions about free diet journals our experts are happy to answer them. We (and other patients) would also love to hear about your experiences.